Former Google and Xiaomi executive Hugo Barra is heading to Facebook to become the VP of virtual reality (VPVR). He will fill the void left by former Oculus CEO Brendan Iribe, who shifted roles to focus on PC VR in December. Barra was all over the news earlier this week as he announced plans to leave China-based Xiaomi, where he has been working for over three years as an International Vice President, aiming to spread Xiaomi brand appeal globally. Before his stint at Xiaomi Huga Barra was a VP at Google and often spoke at press conferences featuring Android products. The news that Barra has already found a new role in Silicon Valley came via Mark Zuckerberg's Facebook account. A few hours ago the Facebook boss said that he was "excited that Hugo Barra is joining Facebook to lead all of our virtual reality efforts, including our Oculus team." Zuckerberg shared a picture of himself and Barra "together in VR," as Barra is still in China. 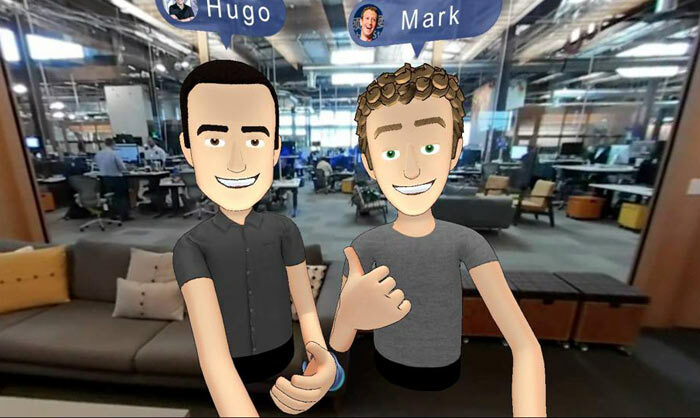 Explaining the hiring of Barra as VPVR at Facebook, Zuckerberg said "Hugo shares my belief that virtual and augmented reality will be the next major computing platform. They'll enable us to experience completely new things and be more creative than ever before. Hugo is going to help build that future, and I'm looking forward to having him on our team." Barra replied that he couldn't wait to start building the future, that this was his dream job, and he will be joining the team at Menlo Park in a couple of months. 2016 was expected to be a breakthrough year in VR but really only set up a foundation for the industry. According to end of year research data Oculus only sold $355,000 worth of HMDs and accessories in 2016, while the leader of the pack, the Sony PSVR, managed more than double that at $745,000. Such sums probably wouldn't cover more than a couple of month's salary for Facebook's new VPVR. If Chinese VR are make properly They will make VR headset For pc At low Cost.